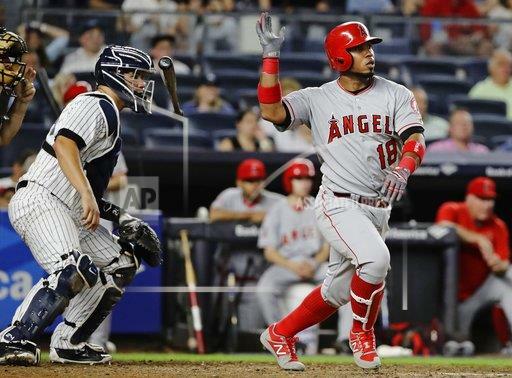 The Yankees rode a season long six game losing streak into tonight's game against the Angels, losing the final six of a seven game, West Coast road trip last week. The Bombers looked to get back to their winning ways at home and turned to Michael Pineda to silence the Angels' offense. Pineda wasn't great in this one, allowing an early lead, but settled down enough to give the Yankees a chance. 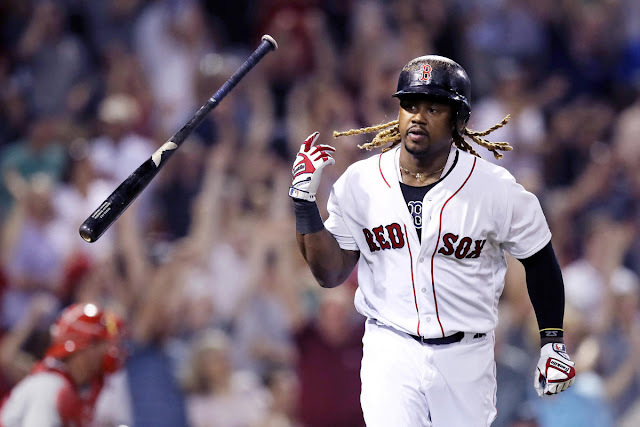 The offense would bail him out with single runs in the fourth, fifth, and sixth, but Tyler Clippard once again imploded and the offense faded late as the Yankees would drop their seventh straight game by a score of 8-3. Right from the get-go, Pineda looked off in this one, laboring through a 27-pitch first inning while immediately allowing Los Angeles to take the lead. Something that we hadn't seen from him since last year started to rear its ugly head again. Pineda looked incredibly uncomfortable and twitchy on the mound and he took a ton of time between pitches, perhaps signaling that he didn't have much confidence in his stuff. He was able to escape the first with just a single run coming across for the Angels, however. In the bottom of the first, the Yankees, as they did so much on the West Coast, blew a one out opportunity with a runner (Hicks) in scoring position when Aaron Judge lined out to deep left and Starlin Castro struck out. A Chris Carter error on an Eric Young, Jr. grounder to start the second inning immediately had the Angels threatening again. RBI hits by Danny Espinosa and Kole Calhoun gave the Angels an early 3-0 lead. Pineda had once again put the team in a deep hole before they ever had a chance to do anything offensive, but they were able to show some resolve and get back into the game later on. The big righty was at 49 pitches through just two innings and it was clear before the sun even set that the bullpen would play a heavy role in this game. 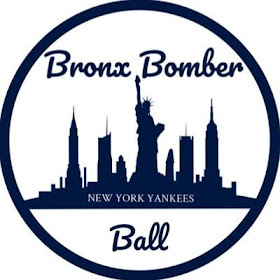 The Yankees wouldn't get their first hit of the night until the bottom of the fourth but it was immediately followed by Sanchez drawing the fifth walk of the night off of Angels' starter Parker Bridwell. However, after Didi Gregorius flied out to deep center, with Castro advancing to third, the Yankees were forced to turn to Chase Headley and Chris Carter. Headley fell down 0-2 but was able to fight off a 1-2 changeup into center for a sac fly, giving the Yankees their first run and cutting the Angels' lead to 3-1. Carter, predictably, failed to do anything further, and the Yankees were unable to draw any closer. The Yankees would tack on their second run in the fifth on an Aaron Judge opposite field home run, his 24th of the year. Big Mike someway, somehow, found a way to grind out 5.2 innings before a two out single in the top of sixth signaled the end of his night. He wasn't great, and the early three run deficit hurt, but he found a way to keep the Yankees in the game. Chasen Shreve came on in relief and ended the inning by striking out Danny Espinosa. Former Yankee Blake Parker was called upon in relief of Bridwell to start the bottom of the sixth and tasked with protecting a one run lead. 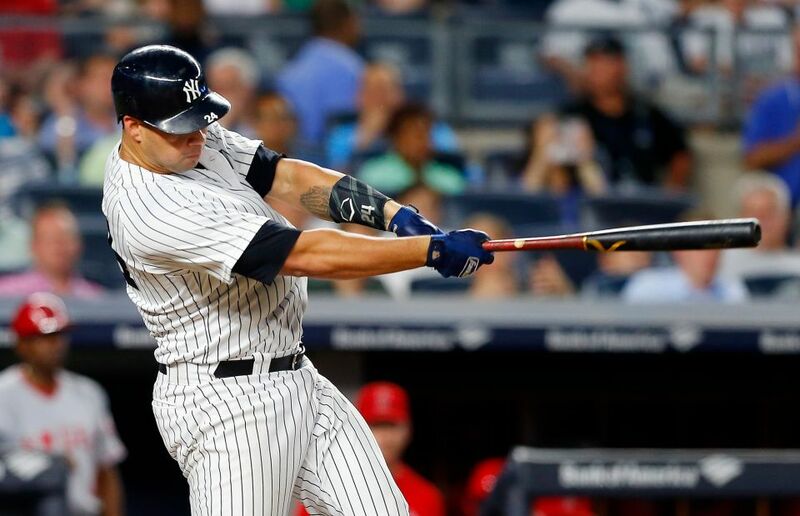 Gary Sanchez had other plans, however, as he rifled a line shot to right to tie the game at three. But Joe Girardi clearly didn't want to win this game, as he brought in Tyler Clippard, who struggled as bad as a reliever can on the road trip. It took Clippard all of two pitches before he gave the Angels the lead back, serving up a home run to Cameron Maybin. Clippard followed by allowing a booming double to Kole Calhoun, and Albert Pujols nearly took him deep as well. Yunel Escobar, too, came within inches of hitting one out, as his deep fly clipped off of Gardner's glove in left and went for an RBI triple. Clippard was promptly booed off the mound and replaced by Jonathan Holder. LA would add a run in the eighth and another in the ninth (Valbuena HR), but the Yankees bats went quiet over the final few innings and when all was said and done, the Yankees had lost their seventh consecutive ballgame, the longest losing streak the franchise has seen in a decade. Note: Jonathan Holder appeared to injure his right hamstring on the last out of the top of the ninth when he took a line drive off it. More to come on the severity of the injury and what roster move will follow if Holder is forced to the DL. 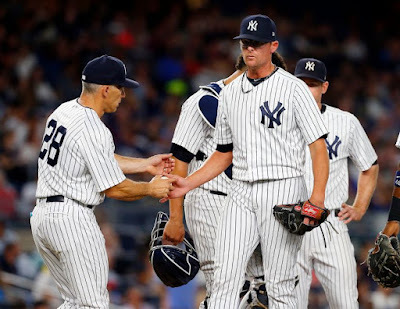 Tomorrow, the Yankees will desperately look to break the losing streak with Jordan Montgomery (4-4, 3.78) on the mound. 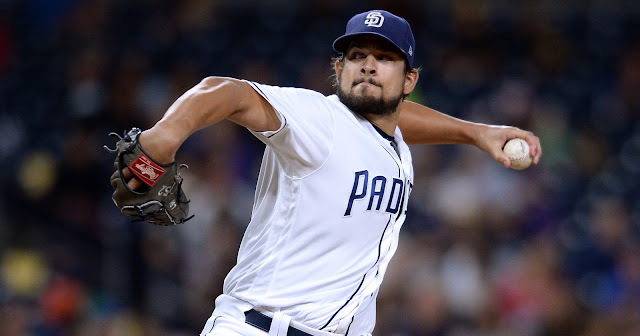 He'll face off against fellow southpaw Ricky Nolasco (2-8, 5.01). First pitch is at 7:05 EST and can be found on YES, MLBN and FOX Sports West.